Home electricity Happy BELATED Birthday, Frank J. Sprague! Happy BELATED Birthday, Frank J. Sprague! There were a few birthdays over the weekend that I totally missed, and now I feel horrible! Oh wait, both of these people are dead. HEY, so HAPPY BELATED BIRTHDAY, Frank J. Sprague! Check out this proper lookin’ military-turned-mucker dude! This is Frank J. Sprague and Rear Admiral S. S. Robinson (I told you he was military, he was Navy). This particular photograph is actually kinda neat, a bunch of folks presented him with a six-volume set of letters and papers on his 75th birthday. I think back in that time people expressed their pleasure for birthday gifts by taking pictures that look terribly uncomfortable, as you can see here. Fads change, I suppose, I guess you had to be there. 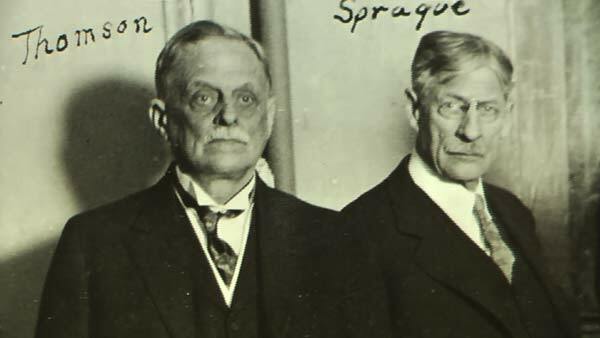 Meanwhile, Sprague’s ideas about motors and lamps had so impressed E.H. Johnson, a business associate of Thomas A. Edison, that he convinced Sprague to resign from the Navy in 1883 to become a technical assistant to Edison. While on Edison’s staff, Sprague assisted in the installation and operation of Edison’s pioneer three-wire electric light systems. Sprague also revised and corrected the Edison system of mains and feeders for central station distribution and developed a formula for determining the ratio of wire size to current amperage. Now, the weird thing about celebrating Frank J. Sprague is not necessarily due to his contributions to the electric light bulb or electric light in general; Sprague’s contributions were to the electrical systems and main busses in Edison’s laboratory, as well as some of the three-wire lighting systems. Sprague did a lot of correcting of Edison’s power distribution mains and feeders, and he also did a lot of mathematical “updating” to Edison’s methods. Sprague knew that if he could do some math beforehand, Edison’s Muckers would have to do a lot less “noodling” and “fooling around” in the lab which would save time. Seems like pretty good sense, right? After several years of theoretical work and experiments, it took Sprague and his men only about 90 days to plan the route, lay a dozen miles (19 km) of track, construct the 375 horsepower steam and electric plant, and motorize 40 formerly horse-drawn cars. The first test runs were made in November 1887, and regular service began on 2 February 1888. The first runs were not without difficulties, including frequent mechanical and electrical problems, the indignity of a horse reigned to the trolleys for the additional pulling power needed to climb the tracks’ steepest incline, and the further embarrassment of seeing broken-down trolleys towed away by mule. With some tinkering, though, the system was soon made reliable, and came to be seen as far superior to horse or horse-drawn transport. Within two years, Sprague had contracts to construct 113 street rail systems, and the within a decade horse-drawn streetcars had virtually disappeared from America’s cities, replaced by an estimated 13,000 miles of urban streetcar tracks. He designed a multi-unit train control system in Chicago, where he built the first of the city’s elevated “L” electric railways. He engineered the electrification of New York’s Grand Central Station, and with William Wilgus he co-invented the “third rail” system of powering electric trains for the New York Central Railroad. Sprague Electric Railway and Motor Company was eventually merged into Edison General Electric, which subsequently became General Electric. Sprague’s talent lied in railways and motors, both electric, as well as a good bunch of other inventions. One of my favorites is the elevator – yep, good ol’ Frank J. Sprague here invented the elevator. I have to believe that he was sitting at a bar one day and realized that if he turned a train on its end and made it run vertically, BOOM – elevator. Done. Bring me another ale, Bitterman. Thanks Wikipedia, The Elevator Museum, NNDB, the Edison Tech Center, and the Chapin Library! 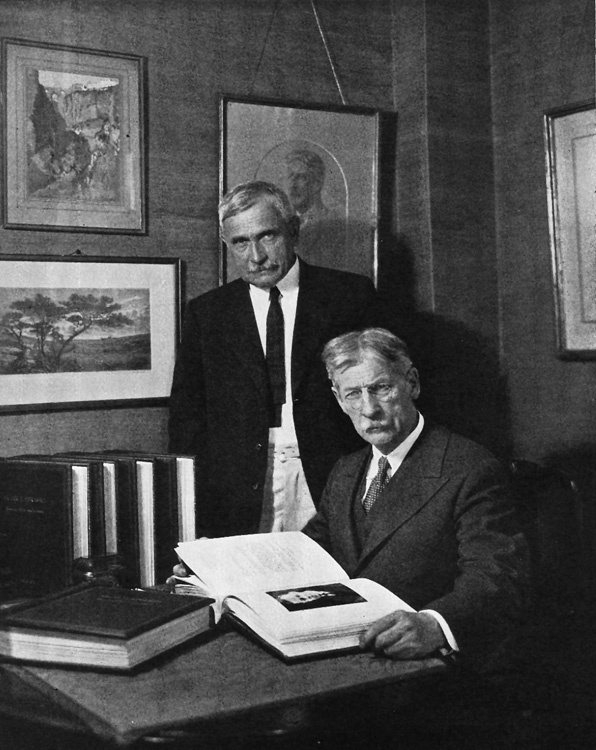 Previous articleHappy Birthday, Francis Robbins Upton!